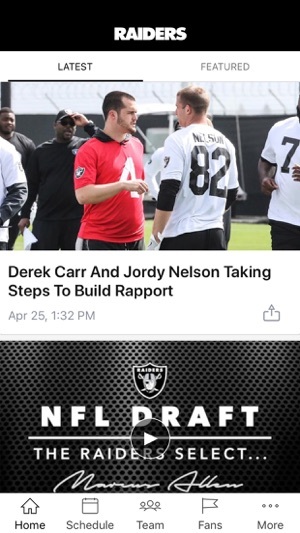 This is the official mobile app of the Oakland Raiders . 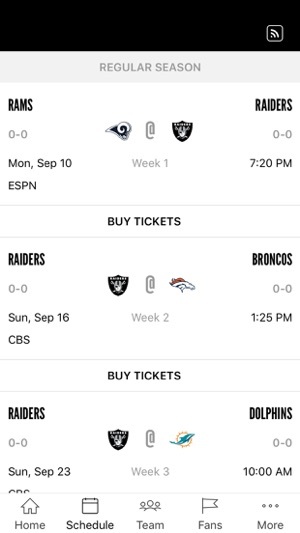 Make your iPhone, iPad, or iPod Touch a unique part of your game-day experience for Raiders games. Want to catch breaking news of the team? See real-time statistics for every drive? Watch video-on-demand clips of press conferences and player interviews? Follow post-game blogs and pre-game previews of the matchups? 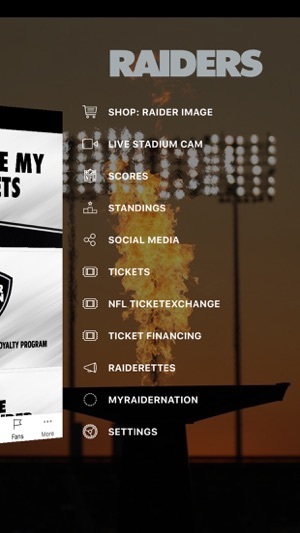 Now, you can stay in touch with the Raiders anytime, anywhere, on your iPhone, iPad, or iPod Touch. Great app. 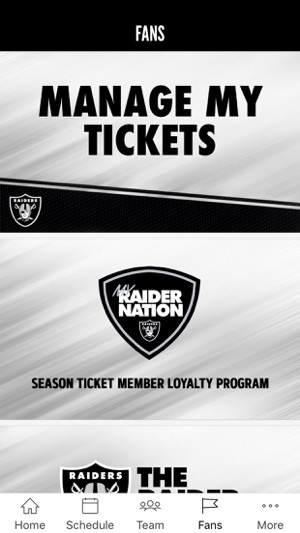 Everything you need for all things silver and black! Great design and functionality, whoever runs this knows what they’re doing. I love the app. 5 stars if the crashing problems gets fixed. I have to delete the app and re- download a few days later. And thats a weekly routine.